The Reading Tub’s efforts as a not-for-profit corporation are governed by Charter. Our Board of Directors provide guidance and oversight to ensure that we remain 1 to our convictions, expand our capacity as appropriate for our mission, and manage our resources effectively. In 2001, Terry traded in her nearly 20-year career in government service for the all-important job of being Mom. The flexibility of being a Stay-at-Home-Mom allowed Terry to pursue her lifelong vocation for reading and literacy. 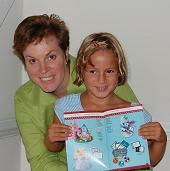 Inspired by the time she spent reading with her daughter, she founded The Reading Tub, Inc. in 2003. Her purpose is clear: make it easy for families to create a positive reading environment at home, find great books (that don’t involve TV or movie characters) and make it accessible to EVERYONE! Terry, who worked as a Librarian’s Assistant in college, has Bachelors of Art degree in English, and also holds a Masters of Science in Strategic Intelligence. In 2009 she created Share a Story ~ Shape a Future, an international blog tour for literacy that ran for five years. She has served as a volunteer reader at a local elementary school. She currently volunteers with the Jefferson Swim League and is a certified Jazzercise Instructor. Lonnie B. Hodge, MFA, Ph.D.
Lonnie is a poet, playwright, Professor of English in China, and SEO Netrepreneur. He is a past National Endowment for the Arts Fellow in Literature and has numerous books, plays, and published poems to his credit. Dr. Hodge holds degrees in metallurgical engineering, psychology, counseling, and writing, as well as a certificate in Asian studies. He is fluent in Japanese. After 35 years of teaching in the military as a Medic, Behavioral Science Instructor, and Ordnance Officer, and at colleges and universities worldwide, he now devotes his time and energy to Internet and Charity concerns. He was also an Olympic-Style Taekwondo Coach and certified referee for thirty years. Lonnie, a disabled veteran, oversees several charitable sites and has a blog on China that contains cartoons, editorials, humor, and photos of his travels through the Middle Kingdom. Most of his efforts are geared toward and raising money for a sheltered workshop for veterans re-entering the workforce. He does search engine optimizing and SEO consulting for websites and blogs. Cathy is the Literacy Ambassador. She has broad experience in reading research; informational and inspirational presentations; and project development and consulting. Cathy conducts training workshops for parents and educators; writes the monthly “Reading Coach” column for EducationWorld.com; and is a regular contributor to online and print publications, including peer-reviewed educational journals such as the Georgia Journal of Reading. Cathy’s believes there is a book and a story for every child. Her work, like ours, targets the four components of literacy: reading, writing, communicating, and listening. Cathy contributes to literacy by designing research-based initiatives, creating reading packages such as Babyzone.com’s first reading page for parents, and serving on the Alabama School Readiness Advisory Council. Her most recent projects involve collaborating as a service provider with preschool and after school supplemental initiatives in Alabama and Georgia. Cathy has received awards for her Reading is for Everyone tutorial model, and won the 2003 National Silver Award for investigative educational reporting from Parenting Publications of America. 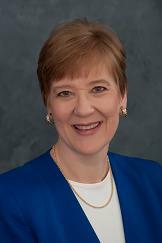 Cathy holds a library science degree from Florida State University. Visit her website to learn more about her services and get news and useful information at Parents and Kids Reading Together, her blog. Dr. Yeager is Professor Emeritus of English, at the University of Charleston, WV. She taught at UC from 1963 until 2001, and currently teaches at Wheeling Jesuit University, WV, and Marshall University, WV. Her areas of specialty include Children’s Literature, Adolescent Literature, Creative Writing, and she has also taught religion, philosophy, English and education courses. 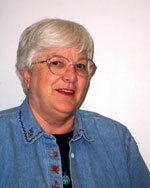 Barbara has also done research on moral development in children and Appalachian Literature. Her published works include articles in professional journals, poetry and two outdoor history plays.Her two most recent books are Soul Searching (2005) and Confirmation, a novel for teens (2006). Reach her at Barbara Yeager.